18" M Double Spoke Style 65 Wheels. 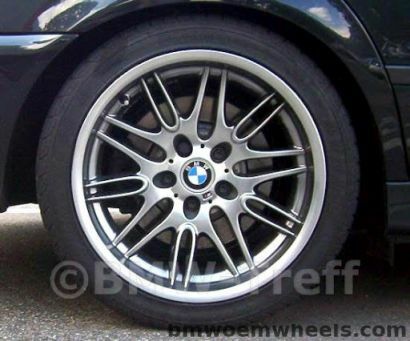 Created for BMW E39 M3. They have 5 x 120 Bolt Pattern with the E39 74.1 Wheel hub bore. The specifications are 8J x18 front / ET 20 and 9.5J x 18 rear / ET 22.